We are currently swimming in Waltham Abbey, Loughton and Upminster, all within a 20 minute drive of Romford, Brentwood, Enfield, Epping, Chingford, Chigwell, Waltham Cross, Broxbourne, Cheshunt, Buckhurst Hill, Potters Bar, Theydon Bois, Woodford, South Woodford and North Weald Bassett. 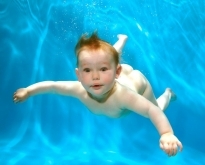 Welcome to Aquakiddies/Babies in Essex, home of the Aquababies baby and toddler swimming program. As one of the original specialist baby and toddler swimming companies, our program is often imitated but seldom equaled. We have been successfully teaching young children and babies to swim for over 20 years and look forward to welcoming you to our program. Please do call our friendly office on 07970 043195 or email us at info@aquababiesessex.co.uk for further information. We also offer TASTER SESSIONS, PHOTOSHOOTS and PRIVATE LESSONS. Call us for more information! Our program is designed to be flexible. Our courses are just 5 weeks long and you can take a break between courses and return to us at the next level at your convenience. We are currently swimming in Loughton, Barnet and Pinner.